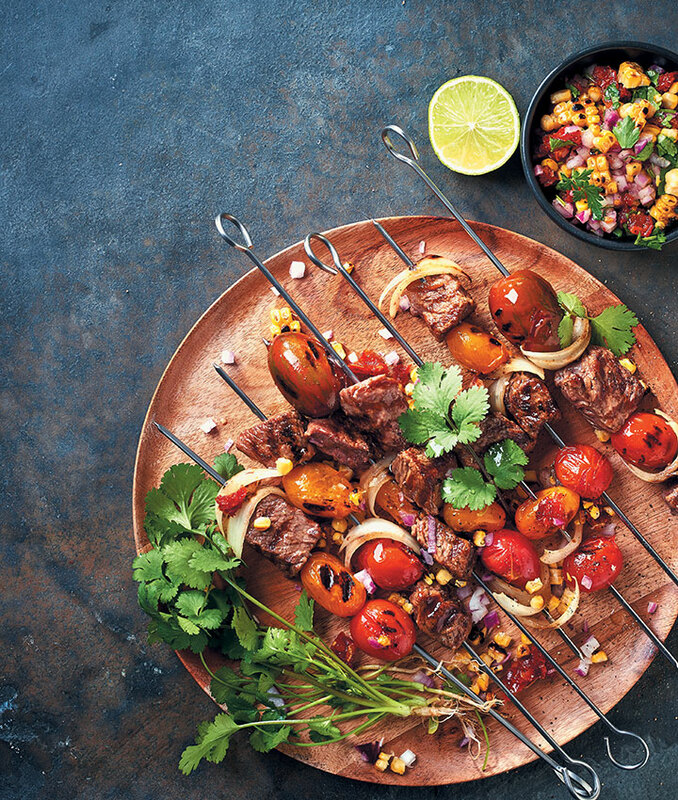 Steak kebabs are always a family favourite, and it’s no wonder why. These tender bites are bursting with flavour and very easy to make. A perfect quick and easy dinner or lunch. Preheat a griddle pan over high heat. Thread the cubed steak, onion wedges and tomatoes onto skewers. Drizzle with olive oil and season to taste. Set aside, 5 minutes. For the salsa, combine all of the ingredients in a bowl and season to taste. Set aside until needed. Chargrill the kebabs on the prepared griddle pan, 5 minutes per side. Serve the kebabs with the salsa alongside and the lime, to squeeze. Garnish with the extra coriander leaves.